As time goes on, weather models are looking more favorable for what could be an extended period of snow in the Cascades and Olympics beginning somewhat this weekend. With southerly flow at times the first day or two snow levels could go up for a while west of the Cascades but that is not a certainty. If it doesn't warm up, avalanche hazard could ramp up rapidly as the cold clear weather of late will have resulted in sugary snow near the surface (I haven't been out, but an icy layer may be below this up to a certain elevation). In any case new snow is not likely to bond well and as accumulations increase after the weekend it may be surprisingly avalanchy given the low snow depths thus far. Watch the NWAC Avalanche forecasts as this (hopefully) period approaches. The current snowpack (and in some areas the lack thereof) requires close attention after a strong snowstorm moves in Tuesday. Where there is current snowpack the bond will be poor and elevated and unusual concern should continue depending on how high snow levels get during storms later in the weak. Near the crest, for instance, it may be possible for deep slabs notably during storms but between them as well. All of this depends on the existence of current snowpack that has been exposed to nearly a week of cool clear weather and on whether it gets warm enough during storms in some areas to reduce the problem layers back to something nearer normal Cascade conditions. The Olympics are likely to have significantly different conditions than the Cascades. Watch NWAC forecasts and follow telemetry to see how warm it has gotten during these storms as you plan travels. The bottom paragraph is the key paragraph in this current NWAC avalanche forecast. Canadian snowpacks and possibly crest and east side Cascade snowpacks could remain weak for a very long time (depending). I saw a post of a photo of someone holding up a palmful of very big surface hoar crystals on FB yesterday, fwiw! There was more snow in the Teanaway this weekend than there was at Snoqualmie Pass or Green Mtn on the Suiattle, and almost none in places on the east side of the Olympics. Woah that's the whole enchilada for a weekend!! 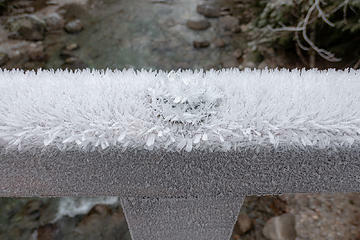 Very deep hoar-frost on Granite Mountain Saturday. 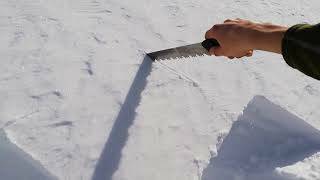 I tried to get a video showing how deep and soft. Not the best since my camera has nothing to focus on easily but it was quite pretty. Those hoar on the north side of Granite was indeed something on Saturday. The flakes were like mini Pringle chips. It was oddly satisfying to run through it. I wish I had brought my camera for that! 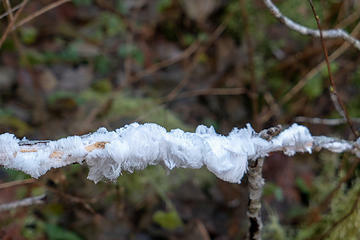 Not the same day, but big ice crystals have built up with the mini inversions in the valleys lately. Lots of hair ice too. I did Independence & North Lakes last Thursday. Big hoar crystals everywhere for miles. Its dumping out there! Woohoo! Snoq pass and lower crystal is mixing with rain a bit but it looks like most higher points are all snow. Probabably some heavy grade west/southwest winds way up. East of the crest snows (precipitation) may not be heavy enough to take out the weak layers via avalanche activity I would think especially from Stevens Pass north. By and large the snow level just oscillates up and down considerably for about the next week and there are extended periods of heavy snow/rain. Bottomline, good for producing base at least down to 4000' but not so much for skiing as cooler periods (mostly this weekend) appear to be relatively short lived. At present it looks like there could be a pineapple express the latter half of next week. The cold surface air of Eastern Washington (keeps snow in the passes) appears to get scoured out by the strong winds Thursday and again about the latter half of next week. Better than no snow at all. Watch the avalanche forecast if going out on the better days and avoid the nasty ones. Very variable what was out there. Theres a lot of new snow up high. Dont think there was much rain penetration near treeline or above. At this time the surface hoar layer is quite widespread but your caution is correct. The problem with surface hoar is that it is variable in elevation, aspect, and location and once buried it is nearly impossible to know where it might be and where it might not. Storm totals from the 11th and 12th are expected to be substantial. 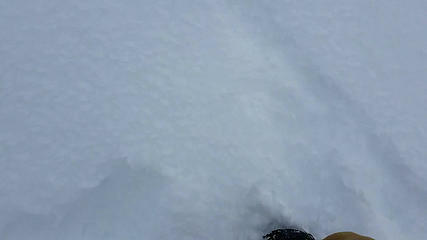 The deep new snow is not bonding well to the old snow surface. During the day on the 11th a professional observer reported a large natural avalanche in the Spire Gully on Washington Pass with an impressive powder cloud. He triggered avalanches remotely (from a distance) with long propagation, and reported widespread collapsing near the hairpin on Hwy 20. Test results confirmed the potential for propagation on buried surface hoar and near surface facets. These slabs are sitting on old weak snow two to three feet down, and may be surprising as they could break well up slope of a person. We have limited observations of the snowpack at upper elevations due to difficult access, though the day of the road closure-November 28, observers found faceted snow near the ground near and above treeline on shaded aspects. This layer is likely still there, still weak, and could fail with this heavy loading event. If this layer is triggered, it could create very large and destructive avalanches. There should be a major avalanche cycle Thursday into Friday with heavy snows and then a rising freezing level. You really have to hope that this storm is warm enough to take out weaknesses, but it may not especially higher elevations, and even more so along the east slopes of the Cascades, perhaps especially in the NE Cascades. (But at this time locations like White Pass and Norse Peak are also problematic). There may be an inclination by some to go away from the heaviest snow and worse weather to the east side. This could well be the exact wrong thing to do but time will tell. Saturday will look enticing. Well we are left with uncertainty. Whereas we got a warm up Thursday/Friday with the warmest temperatures occurring right now with strong southerly winds, as freezing levels rose precipitation tapered off. So although it rained at lower elevations (where there was less snowpack anyway), mid and upper elevations got little rain and have had not much warming; there is no reason to think that the weak layers have gone away. And the most likely place to trigger avalanches should be at higher elevations especially along the crest and east slopes of the Cascades. With a Pineapple Express looking more likely beginning Wednesday perhaps that will rid us of an unusual Cascade problem. It looks like it will rain even well above Rogers Pass in British Columbia.